Rhonda a 35-year-old government employee attended a free network-marketing seminar, which promises financial freedom in ten (10) years using complex computer software. After the session Rhonda was still is unsure as to what was financial freedom. After sharing her experience with her coworkers someone advised that property ownership was the best way to achieve financial freedom. Rhonda’s plan was to simply work, save and invest until she retired at age 60. At that time she will take her gratuity, go on a cruise, relax and then start collecting her pensions from National Insurance and the public service. This plan seemed fine until she read an article about the effects of inflation on retirement income and how pensions can lose almost half of their buying power every ten (10) years. With her future looking not-so-certain Rhonda is considering aggressively investing in annuities as a way of bumping up her retirement plans to deal with the rising cost of living, but she doesn’t know if this is her best option. Retirement and financial freedom is in essence the same thing, in that, income no longer comes from work but instead from government and employer benefits or investments. Whilst in some cases this only happens beyond age sixty it can be accomplished earlier depending on how well a person saves and invests. The reason real estate (which includes: land, land with building and building without land – such as apartments) is a good investment for financial freedom and retirement is that property values and (by extension) potential rental income increase over time. This offers protection against the rising cost of living, which is critical when one is solely dependent on fixed income sources such as pensions from: employers, NIS and annuities. Notwithstanding this fact one can indeed arrange fixed income instruments such as annuities to buffer the effects of inflation. Receive a tax-free lump sum and a reduced monthly pension for life. 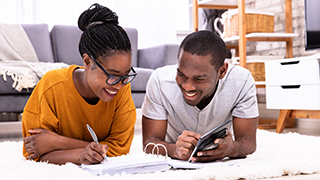 If the annuitant dies in retirement these plans offer guaranteed payments to beneficiaries from zero to fifteen years – calculated from the date of retirement. When a longer guaranteed period is selected the monthly pension is reduced by a certain amount. There are some annuities that provide pensions that increase every few years but they usually start off at a lower pension level when compared to the standard fixed pension. For example: say the investor accumulated $100,000 in their annuity at retirement. If this was a “fixed pension version”, the monthly pension would probably work out to be $500 ($100,000 x 6% = $6,000 /12 months), whereas with an “indexed or increasing pension version” the monthly pension would probably start out at $250 and after say 10 years it would go to $500 and then finally to $750 after the second and third decades respectively – so in a way the “short payment’ in the early years is used to fund the “over payment” in the later years. The periods between increases would probably be based on an average life expectancy scale. A very common strategy to address inflation with annuities is annuity stacking. This is a concept of staggering the maturity dates of multiple annuities at regular intervals, say every five (5) years between the ages 50 to 70. All at once but with different maturities. At random points leading up to retirement. Of course the earlier savings start, the more time compound interest (interest on interest) has to increase maturity values. Caution: Starting a new plan or increasing a monthly contribution may trigger fresh charges or loads. “No-load plans” can charge fees purely from the returns on the investment whilst “loaded plans” may charge the contributions directly. Before investing Rhonda should research annuities with various banks and insurance companies comparing them based on charges, interest rates, flexibility of maturity options, investment risks and the types of underlying assets.